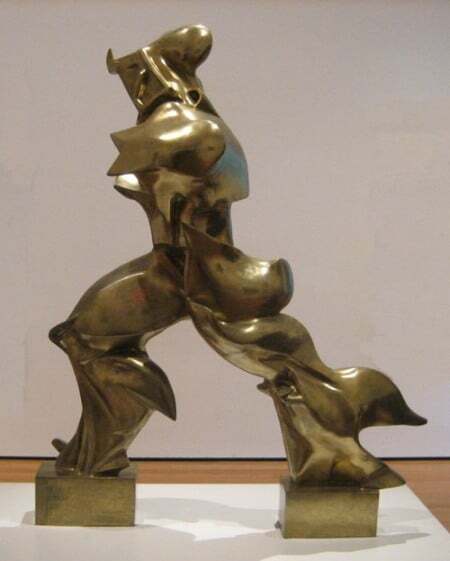 The Futurism art movement was a totally Italian modern art movement. Unlike other modern art movements that sprang from developing or reacting against other artistic styles developments in art, Futurism seemed to spring from an idea, and the style of how to translate the ideas into the visual arts came afterwards. 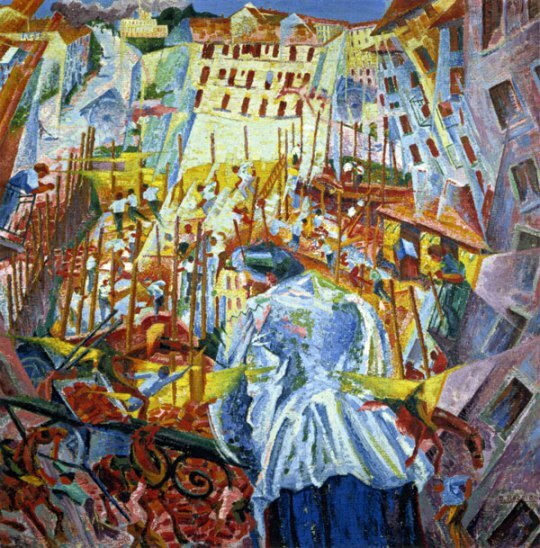 The Futurism art movement celebrated technology, modernity, speed, violence and youth; it glorified war and was in favour of the growth of Fascism. The Futurism movement really began with the publication of the poet Filippo Marinetti’s Futurism Manifesto, in Le Figaro in February 1909. The manifesto was passionate and bombastic in tone, expressing disdain for anything old, particularly in the fields of art and politics. One could be forgiven for thinking that the primary aim of the manifesto was to shock people. 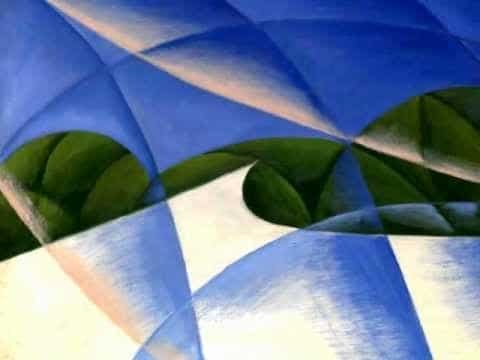 The Futurism art movement was by no means a movement of painters. It covered all fields of creativity, including architecture, literature, textiles, ceramics, theatre, film, industrial design, etc. Marinetti’s manifesto attracted the attention of young painters in Milan, who wanted to translate the Futurist ideas to the visual arts. This led in 1910 to the publication of the ‘Manifesto of the Futurist Painters’. Despite their passionate manifesto, the Futurist painters took a while to develop a meaningful style that would embody their ideas. The earliest Futurist paintings utilized the theory of Divisionism, building images up from a series of dots and strips of pure color. It wasn’t until seeing the work of Cubist painters in Paris in 1911 that the Futurists adopted the techniques of the Cubist artists, which they felt presented a means of analyzing and controlling the energy of paintings, to capture what they called the ‘force lines’ of objects. Despite learning lessons from the Cubists, the paintings of the Futurist art movement were very different to the work of Picasso and Braque. While the Futurists did produce some portraits, their more typical subjects were urban scenes and vehicles in motion. 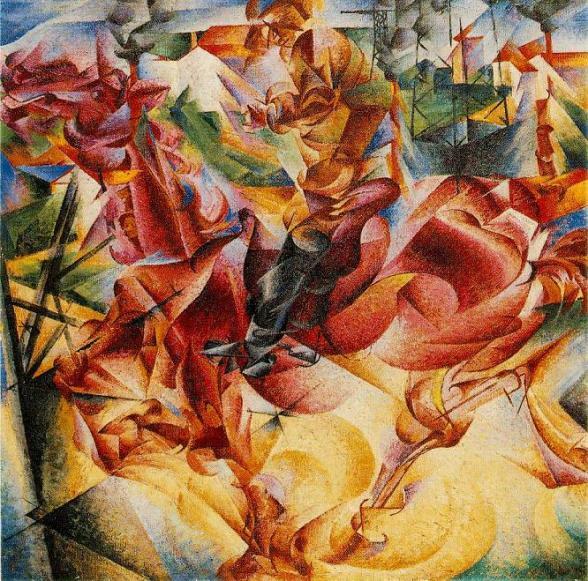 The focus on movement and speed contrasts strongly with the Cubists static analytical works. Austin Artists Market was founded upon one principle – to make unique original and reproduction artwork available and affordable to everyone.